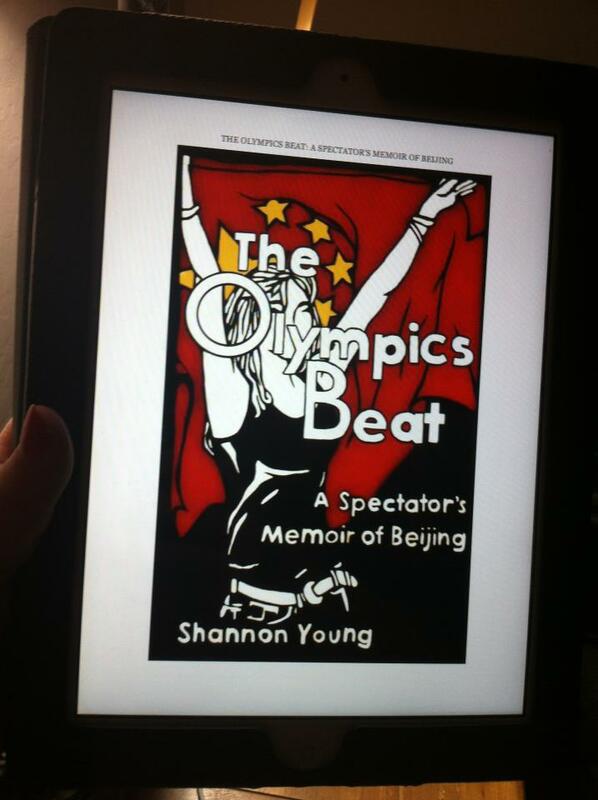 It's Day 4 of Launch Week for The Olympics Beat: A Spectator's Memoir of Beijing. You can check out yesterday's post to find out what has been happening so far. Over the last 24 hours, I've made appearances on a few more blogs. First up, Harvee Lau at Book Dilettante has terrific taste in books and often reviews titles you don't see on every other book blog. 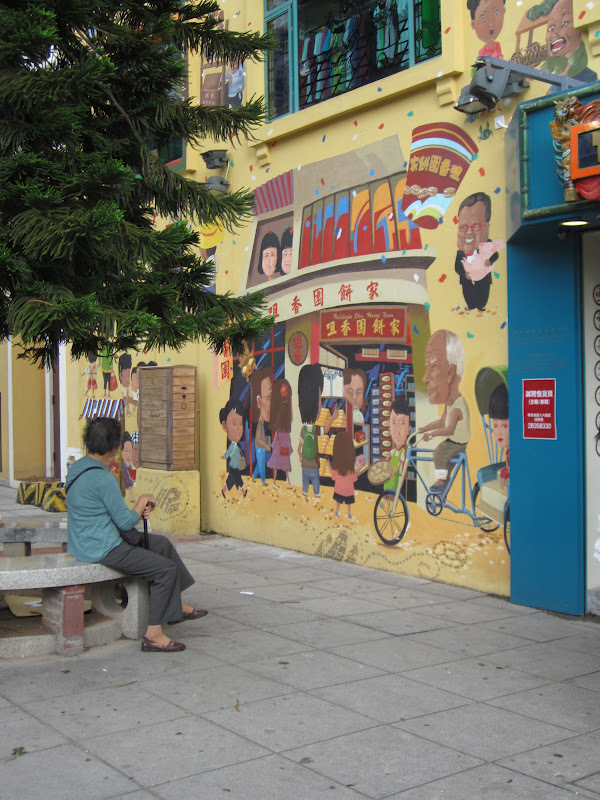 I got to write a guest blog for Harvee on what I learned about China at the Olympics. 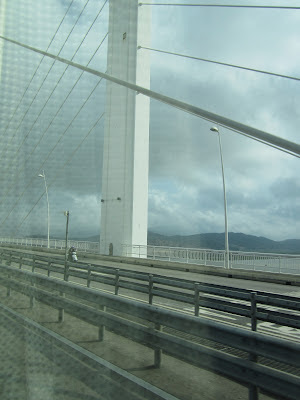 Next, I wrote about being an expat writer for Adventures in Expatland. Linda introduced my post with some absolutely lovely comments about my book. She's also hosting a giveaway, so get over there and leave a comment if you'd like to win a copy of The Olympics Beat. The book is just $0.99, which meant that I got to appear on Man of la Book as a featured memoir in Zohar's Tightwad Tuesdays series. I really appreciate all your help in spreading the word about my book release. 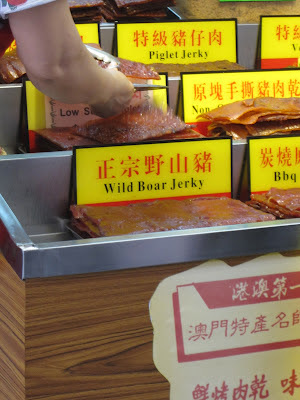 If you'd like to see more of our pictures from Beijing, you can check out the photo pages on ShannonYoungWriter.com. A few of my friends from Colgate University sent me a picture of their Kindle. took a picture of my book (on an iPad, I think). It's Day Three of Launch Week for The Olympics Beat. I don't know about you, but I'm having a great time! On Sunday I shared a podcast interview with Stuart Beaton in China. Then, for over 24 hours on Monday, my friends and their friends stormed Facebook with dozens of links to the book. Today, my book was featured on the blogs of two lovely, talented writers: Jane Cornelius in Shanghai and Susan Blumberg-Kason in Chicago. You should visit both of their blogs if you are interested in women who write about China and life! Tomorrow, I'll be making guest appearances on a couple more blogs. As of Tuesday evening, HK time, my e-book is #1 in the Beijing Travel categories on Amazon US and UK, #1 in China Travel on Amazon US, #12 in Asia Travel on Amazon UK, and #16 in Travel Memoirs & Bios on Amazon US. I am enjoying this while it lasts! 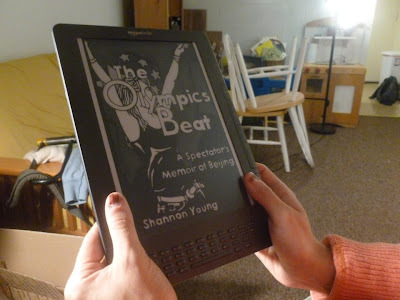 The coolest thing that has happened is that my friends have started sending me pictures of The Olympics Beat on their e-readers. I'm so grateful to have this kind of support and enthusiasm. but they took the time to send a pic. students from the US who just graduated from high school this weekend. The Olympics Beat is available from Barnes & Noble and Amazon in the US, UK, Germany, France and Italy. Thank you for helping me spread the word about this travel adventure! For photos illustrating each chapter of The Olympics Beat, you can visit ShannonYoungWriter.com! 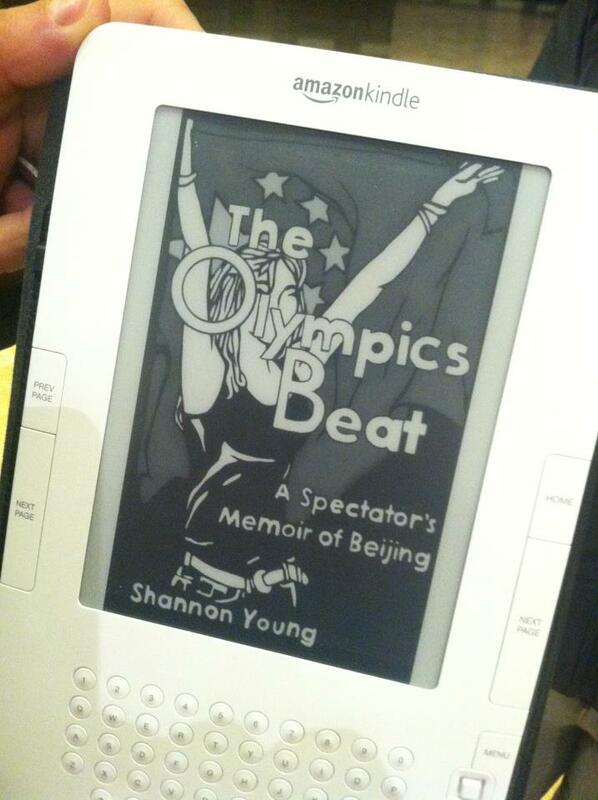 It's Launch Week for The Olympics Beat here at A Kindle in Hong Kong. My mini travel memoir (only 80 pages) about the Beijing Olympics is climbing the charts at Amazon. The e-book is currently #2 in the China Travel category and #24 on the overall Biographies & Memoirs, Travel category. You should take a look while you have the chance! The e-book is also available from Barnes & Noble if you're a NOOK reader. The coolest thing happening right now is The Olympics Beat Share Storm. My Facebook friends and many of their friends are helping me spread the word to anyone who might be interested in this story by sharing the link to my book. If you'd like to join in, all you have to do is post the link to the book listing or the FB page. If you'd like to see more of my pictures from Beijing, visit ShannonYoungWriter.com. It's official. Today, with exactly two months to go until the Opening Ceremonies of the London Olympics, I am launching my e-book, a short, fun travel memoir about an incredible adventure. If you want to buy The Olympics Beat: A Spectator's Memoir of Beijing, it's available on Amazon.com (and .co.uk, .co.de, .fr, and .it) for just $0.99 (or 0.77 GBP or 0.89 EUR). Updated: now available on the NOOK from Barnes & Noble. Sunday: Book launch! I was interviewed by writer Stuart Beaton in China on his very cool podcast. Here's the link if you'd like to hear my voice :). Monday: I have a guest post about the Olympics on Book Dilettante. Facebook Share Storm. I'm asking everyone I know, whether or not they want to buy the book, to post the link on Facebook. The goal is to get the word out to as many people as possible who might want to read it. It means I won't have to keep bothering my Facebook friends about the book because they'll all know about it. If you want to join The Olympics Beat Share Storm, just post a link to the book some time on Monday. Tuesday: My book will appear on the blog of my lovely writing partner, Jane Cornelius. Wednesday: I will have a guest post about being an expat writer on Adventures in Expatland. 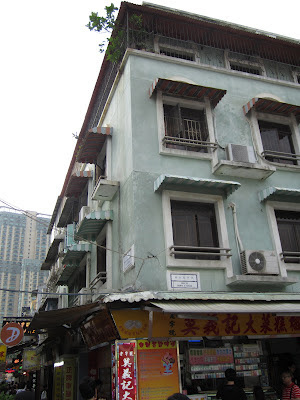 Thursday: I will have a guest post on The Reading Life blog about the reading life in Asia. Friday: I'll wrap up the launch week with a writing video about the experience. Next week, I'll return to a normal Kindle in Hong Kong schedule of bookspotting, book reviews and walking tours. The drama, the variety, the spectacle - Shannon can't get enough of it. She is an American student who has always been fascinated by the Olympic Games; her father has a lifelong love affair with China. They team up for the Beijing games and the adventure of a lifetime. Without the filter of a small screen, Shannon and her father are hypnotized by the passion of a great nation unveiling itself to the world. This mini travel memoir is a picture of a new China and the experiences that would change one American girl's life forever. Visit ShannonYoungWriter.com for original photos illustrating each chapter of this story. A young couple's memoir of going west to chase the American dream, only to find themselves going broke in a devastating economy. Shetterly and her husband Dan are newly married when they decide to move to California from Maine. They pack up all of their possessions and leave all their family ties behind, just like the Ingalls family in the Little House on the Prairie series. They drive across the country, chasing the big dream of making it in the West. When they arrive, they become unexpectedly pregnant and unexpectedly victim to a wicked economy. Their dreams and bank balances disintegrate around them, and they have to find a way to survive. This is a beautiful story about a young family trying to make it in America. It manages to capture the spirit of the recession like no other piece I've read so far. Shetterly and Dan are college-educated professionals, yet they can't even get jobs as bartenders and cashiers because they are competing against hundreds of others for every vacancy. She taps into the attitude of disbelief amongst Americans that things could get this bad. There's a heavy dose of anxiety and stress in this story, and rightfully so, but Shetterly maintains an uplifting message about perseverance, family, and the beauty of the country. Shetterly's writing style is rich with imagery that instantly brought me back to the many American road trips I've taken. She establishes a true sense of place through the tastes, smells and sights with just a few words and makes you want her journey to continue. She writes with a raw, resonating honesty. Their story may not be uncommon in the current economic climate in the West, but this account is a uniquely poignant snapshot of recession-era America. I received a beautiful signed copy of this book from Susan Blumberg-Kason during her visit to Hong Kong. Do you approach your dreams differently in a tough economy? How has the recession affected you? Note: Don't forget that my e-book THE OLYMPICS BEAT: A SPECTATOR'S MEMOIR OF BEIJING launches on Sunday! 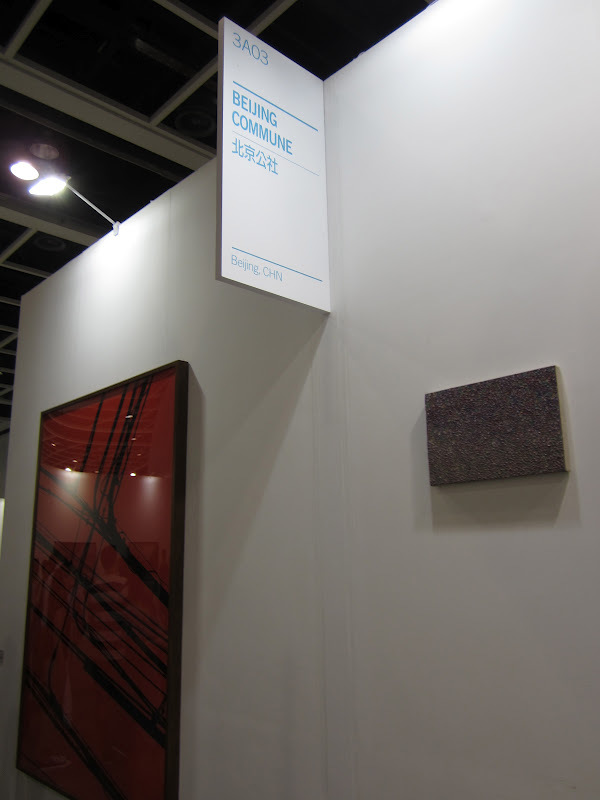 This weekend I visited the annual Hong Kong Art Fair at the Wan Chai Convention and Exhibition Center. The popular event was overflowing with an incredible array of art and interesting people to watch. I spent hours wandering aimlessly through the exhibits (except when we were on a mission to find the Ai Weiwei display). This walking tour is a series of pictures from the two exhibition halls in no particular order. This was the machine band, attracting attention and making music through a series of automated currents. I thought this one was beautiful, although I would have found it just as nice without the piles of wood chips. There was a rhino and a dinosaur in at least three different locations around the fair, and we may have spotted a fourth. The people-watching was just as much fun as looking at the art. These lumps were actually very beautiful up close. The charcoal and burlap lambs were less beautiful, but an adorable two-year-old spent about five minutes trying to pet them despite his dad's efforts to keep him away. This is Hong Kong, so of course the commercial opportunities were not wasted. This was one of the only displays you could walk on. That white stuff is salt. The skinned rubber animals breathed. I jumped the first time I noticed. 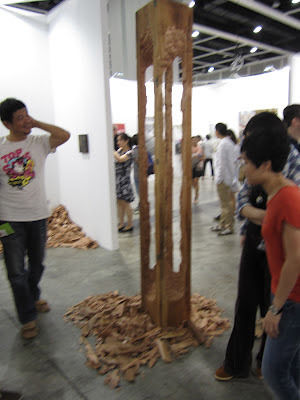 This is the Ai Weiwei piece. The outside had responses to repeated letters from Ai Weiwei to the Chinese government about earthquake relief and information (or the lack thereof). 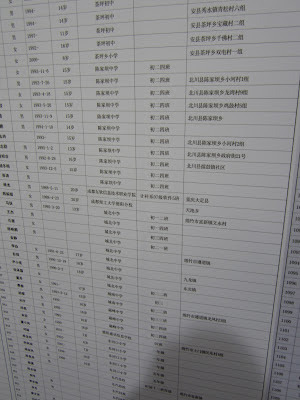 The inside had the names of the earthquake's victims. This piece reminded me of The Night Circus by Erin Morgenstern. We spotted lines of kindergartners traipsing around on leashes. I caught them when they were drawing pictures of the art. We came upon a "Guerrilla Talk" but the crowds prevented us from hearing much of what the artist was saying. This giant flower opened and closed, but unfortunately you couldn't climb on it. Can you tell what this display is made of? This was my first year at the HK Art Fair, but I will definitely go back next year. I hope you enjoyed this glimpse of what I saw. Note: I didn't see any signs or notices in the brochure warning against taking pictures. I apologize to the artists if we weren't supposed to do it. This Sunday I went to the HK Art Fair, a huge annual exhibition of artwork from around the world. 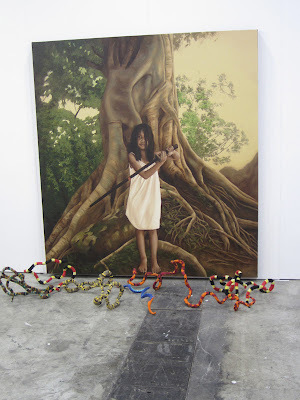 The fair warrants a post of its own, so I'll be doing an Art Fair walking tour later this week. At the fair, I spotted at least a dozen people walking around with art books in some form. 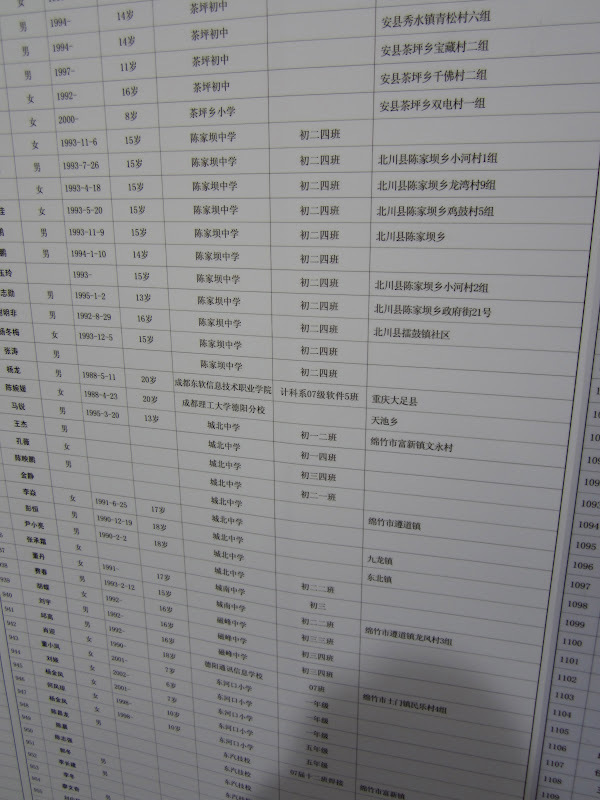 The attendees came from a wide range of nationalities, but I only spotted books in Chinese. After the fair, I went to see the new Wuthering Heights film, which was dark and troubling (as you would expect it to be based on the book), but also very well made. Earlier in the week, I spotted a man on the MTR reading Snakehead from Anthony Horowitz's Alex Rider series. I also saw two different Westerners reading Kindles within the space of an hour, one on the train and one in the shade beneath the Escalator. 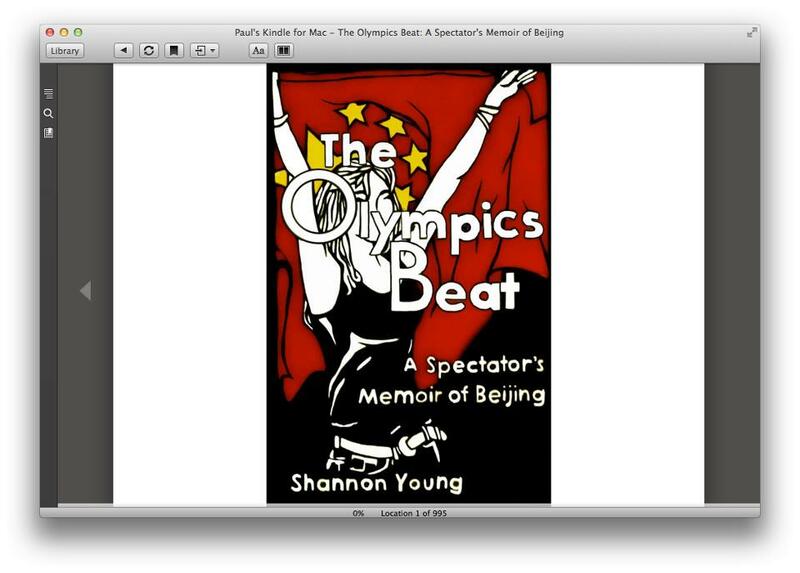 Next week I'll be officially launching my mini travel memoir The Olympics Beat: A Spectator's Memoir of Beijing. There will be pictures, guest posts on some awesome blogs, and various other kinds of excitement, so I hope you'll stop by. If you want to know more about the book, please visit my author website: ShannonYoungWriter.com and sign up for my email list while you're there. Now it's your turn. Have you spotted any cool books this week? 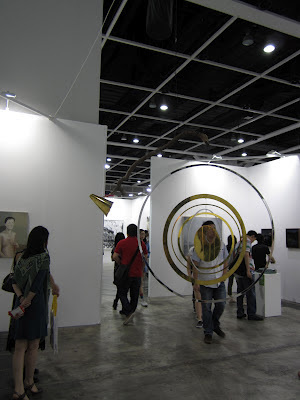 If you're in HK, did you make it to the Art Fair? 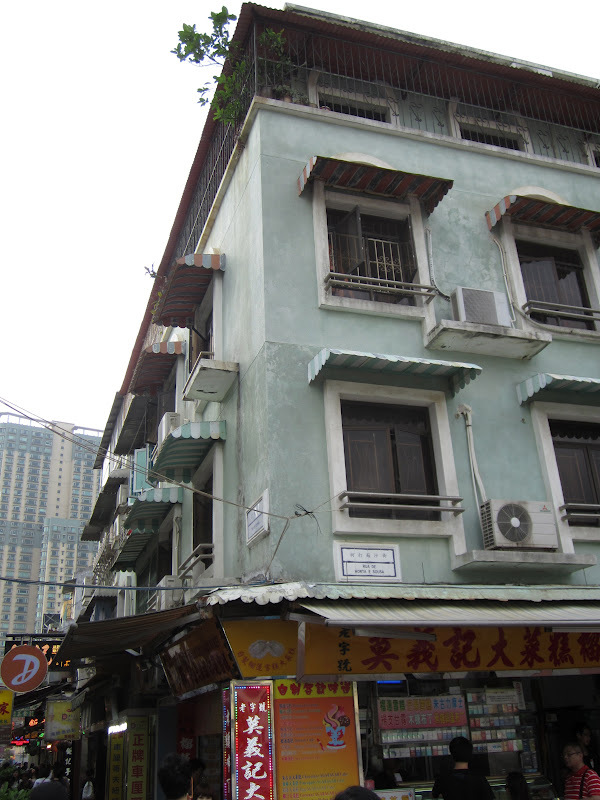 Macau is well-known for its busy casinos and beautiful Portuguese architecture. 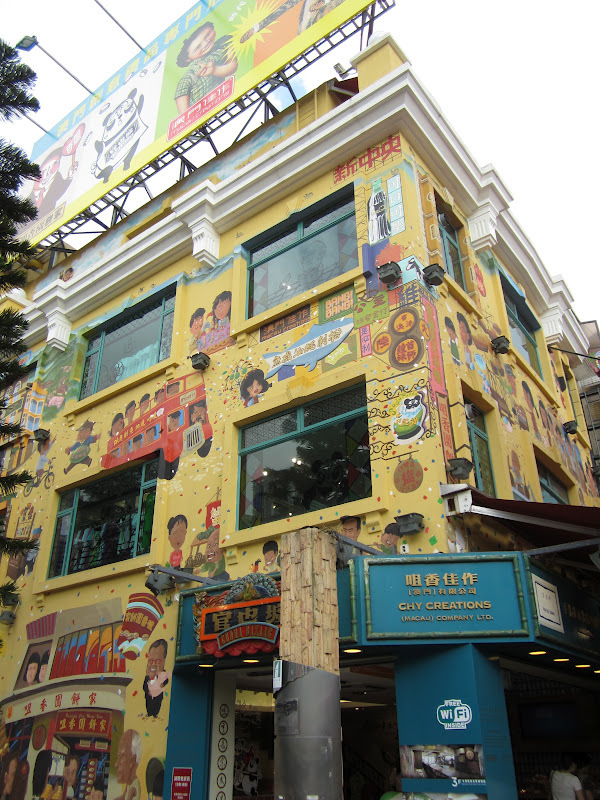 It is most common for people to visit the Taipa side of Macau, commonly referred to as central Macau. You've seen a lot of it already in my walking tours Part 1 and Part 2. You have to cross a bridge to get to it, but you'll wind up in Cotai, a piece of reclaimed land which can be described as Reno to Central Macau's Las Vegas. Not far from the small collection of casinos, there's a miniature tourist street. It's much quieter here than near the ruins of St. Paul's Cathedral. You can still find Portuguese food. And a humbler array of houses. ...and a few shops where you can buy the famous Macau jerky. Although this is a touristy area, it has a different sort of charm. Walk to the end of the lane, where you'll find a typical cityscape. ...and enjoy the chance to take pictures without the crowds. You can see the casinos of the Cotai Strip, including the Venetian. 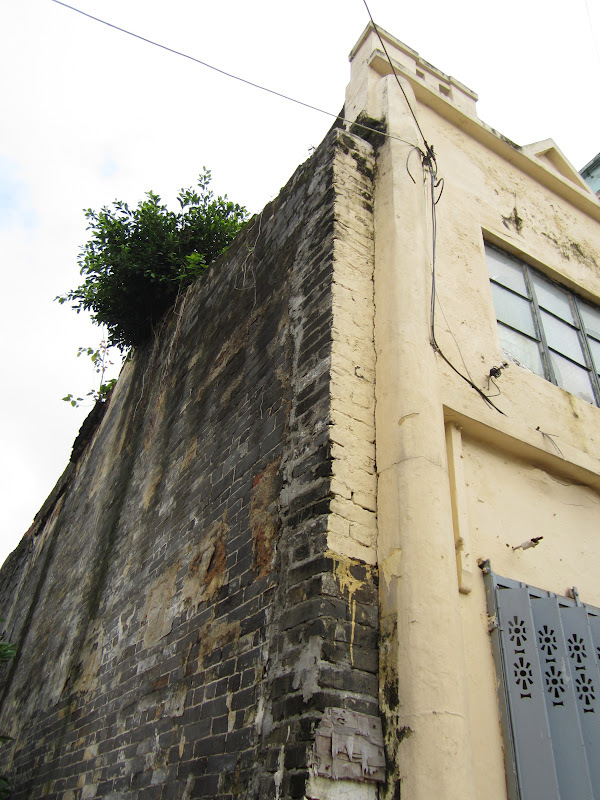 It's a simpler sort of life in Macau, and here you can feel the real peace and beauty of it away from the madness of the central areas. But of course, you can still find some casinos here too. If you want to see the busier side of Macau, you can check out my earlier walking tours. Thanks for visiting A Kindle in Hong Kong!